Garden Figments 'The Online Garden Design Shop' are proud to stock the famous Anlaby Birdbath Buff In Colour Made From Cast Stone Frost Proof Free Delivery UK Mainland. With so many on offer these days, it is great to have a name you can recognise. 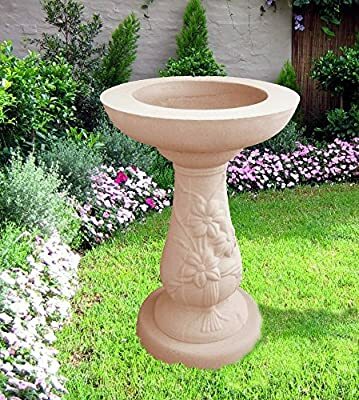 The Anlaby Birdbath Buff In Colour Made From Cast Stone Frost Proof Free Delivery UK Mainland is certainly that and will be a great purchase. 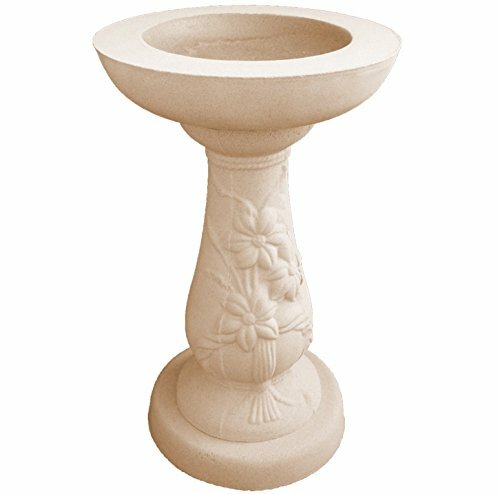 For this reduced price, the Anlaby Birdbath Buff In Colour Made From Cast Stone Frost Proof Free Delivery UK Mainland is widely recommended and is a popular choice for most people. UK Sculptures have included some great touches and this results in great value for money. Anlaby Birdbath Buff In Colour Will look great in any Garden. Our stone is hand-made by skilled craftsmen in the UK using traditional methods. The stone is durable and strong, withstanding all weather conditions. Please Note: Due to the handcrafted nature of our designs, all colours, weights and measurements shown are approximate and are intended as a guide only. About Cast Stone Cast stone is finding a growing market. It can add distinction and value out of all proportion to its cost. The material has caught the imagination of architects, builders and their clients from the classical past in Britain to the present day. There's a simple reason why. It can transform plain Gardens into something special. It offers class at an affordable price. The birdbath will arrive in three section top, stem and base. To add stability to your birdbath we advise using a outside mastic similar to no more nails to the bottom and top of your stem. If you would like further assistance please ring us on 07446195317.